Most municipal water supplies today, including ours, have a hefty level of filtration and conditioning before the water reaches your faucets. And if you’re using a private well to access ground water, you very likely have your own water treatment system on site. But something that can be missing in either of these scenarios is anything to protect against hard water. 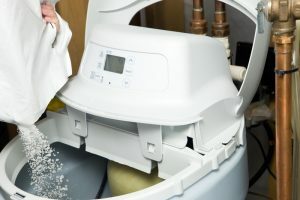 Hard water is the name given to water with a high concentration of minerals in it—namely calcium and magnesium. These minerals are harmless for humans and pets to ingest, however they could be having a negative impact on your quality of life, plus hard water can damage your plumbing system. 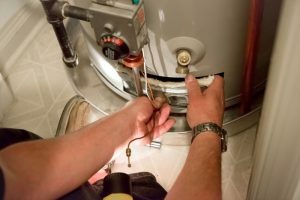 Should I Be Concerned with Heater Repair Needs Now? Winter temperatures have started fading out, and in fact we’ve had a couple days in recent weeks where you may have already used your air conditioner. That doesn’t mean our heating systems are quite done doing their jobs yet, though. With our nights still in the 40’s, it’s important that your heater functions as well as it should. You may be wondering, “but with warmer weather right around the corner, should I really be concerned about my heater?” If it’s exhibiting any operational problems, then yes—you should. 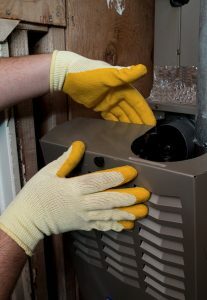 Unfortunately, neglecting any Millcreek, UT heating repair service needs you may have can be detrimental to your heater, no matter how far into spring we may be. Just because you aren’t using your heater daily anymore doesn’t mean you should let the issue go, no matter how seemingly minor it may be. Posted in Heating | Comments Off on Should I Be Concerned with Heater Repair Needs Now?